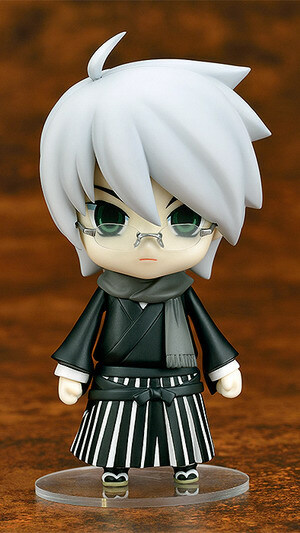 Good Smile Company is going to release the Nendoroid No.342b Itoshiki Nozomu ( 糸色 望 ) 1.5 Kouji Kumeta Color Ver. ( 1.5 久米田康治指定カラーVer. ) 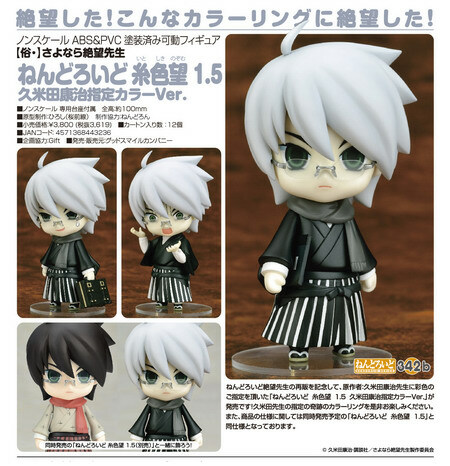 action figure from the manga/anime “Sayonara Zetsubou Sensei” ( さよなら 絶望先生 ). Will be released in September 2013. 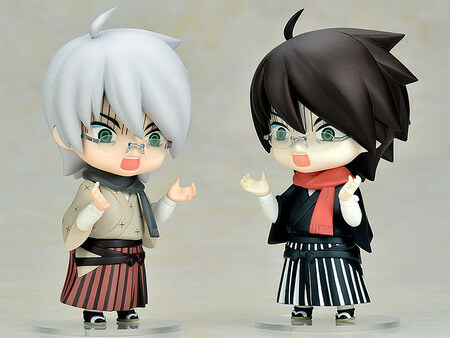 Around 100mm tall, 3,620 yen. 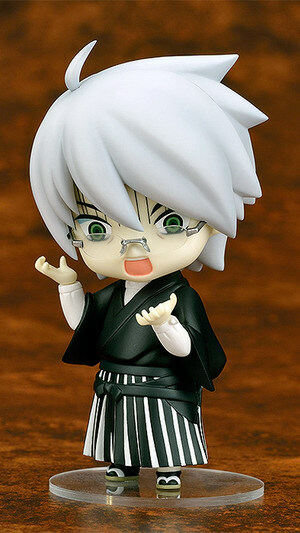 I’m in despair! I’m in despair that I’d be released in this color! 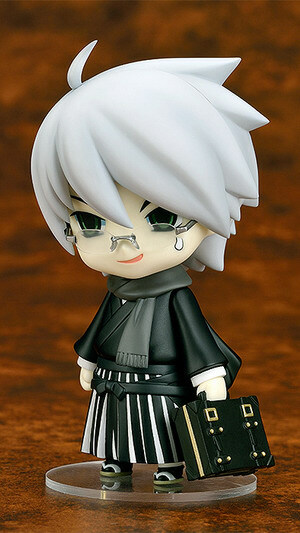 To celebrate the rerelease of Nendoroid Zetsubou-sensei, a special version featuring colors selected by the original manga’s author, Kouji Kumeta, is being released as ‘Nendoroid Nozumu Itoshiki 1.5: Kouji Kumeta Color Ver.’. 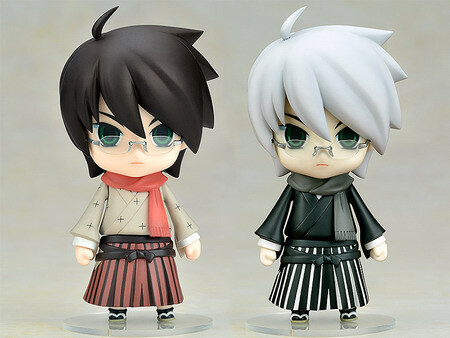 It might not be the same Zetsubou-sensei you’re used to, but the colors were selected by Kouji Kumeta himself! 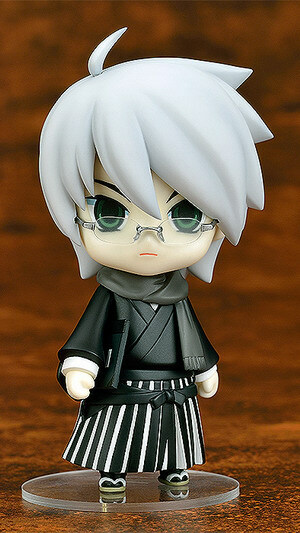 The Nendoroid itself is exactly the same as Nendoroid Nozumu Itoshiki 1.5 – just the coloring is different.